collect evidence, and build a strong premises liability case. Swimming pool accidents can happen in the blink of an eye – completely unexpected during a day out in the sun. When an individual is seriously injured in a swimming pool accident, the damages can be severe, long-lasting, and financially devastating. Learn more about how to respond correctly in swimming pool accidents and which damages can be collected to compensate for your family’s suffering. Swimming pool accidents fall under the term of premises liability. Premises liability refers to an injury that takes place due to unsafe conditions on another’s property. Property owners, under premises liability law, are required to keep their property safe for visitors, which means maintaining the property and taking care of any hazards that may present themselves. A failure to do so can result in liability for any injuries that occur on the property. Besides swimming pool accidents, other premises liability cases could include slips and falls, negligent security, or even dog bites. Ensure the safety of others. Make sure an ambulance is called immediately if need be and that everyone is out of and away from the pool. Call the police and wait for them to arrive. Take pictures and gather evidence. It’s important that you take as many pictures of the accident as possible and from numerous angles. Take pictures of the pool’s enclosure, gates, warning signs, and any other contributor to the accident. In addition to pictures, it’s important to collect witness’ contact information and any defective products that may have caused the accident. This avoids accidental or purposeful destruction of those products by other parties. Document the accident. It may seem old-school, but writing down your memories of the accident can help preserve important details that may fade from memory later on. Seek regular medical attention. Failing to seek medical attention immediately or regularly in the weeks following an accident can reduce your claim. It can say to others that you failed to take proper measures toward getting well. Contact an attorney. An attorney who is well-versed in premises liability law can help you gather/preserve evidence and help you receive the compensation you deserve. Under the laws of premises liability, the property owner is likely to be held responsible if the accident was due to negligence on their part. Owners of a pool have a duty to maintain that pool and create a safe environment for swimmers. Failing to provide adequate enclosures, warning signs, or repairing any damages to the pool means that owners can be held liable. In addition to property owners, manufacturers may also be held liable for a swimming pool accident if a piece of equipment like a slide or diving board malfunctioned or was poorly designed, thus causing the accident. 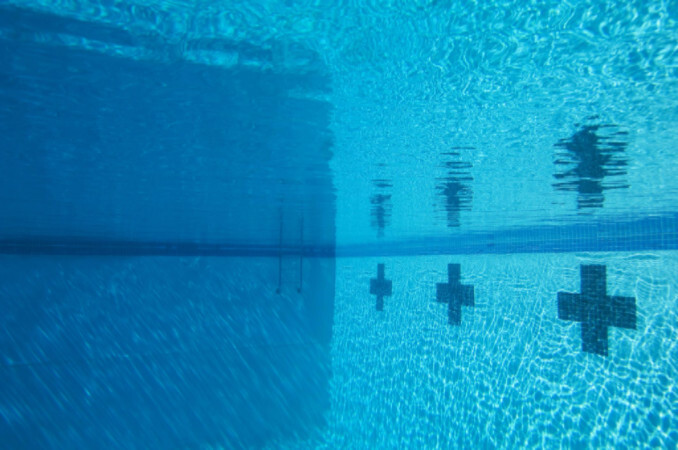 If a loved one has fallen victim to wrongful death in a swimming pool accident, damages can also be collected for funeral costs, lost companionship, and loss of future earning capacity. If you or a loved one have been injured due to a negligent swimming pool accident, contact the Tampa injury attorneys at Lorenzo & Lorenzo to see how we can help. We have the experience with premises liability cases needed to win your case. Contact us today for a free consultation and see how we can help you receive the compensation you deserve.